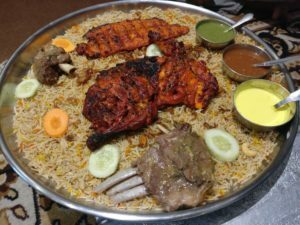 If you are a non-vegetarian foodie and a Biryani lover you should at least once try Mandi. Mandi is an exotic, heavy dish, rich in spices. It has its origin from the Arabian peninsula. It is an aromatic blend of slow-stewed meat laid out on a bed of velvety, colorful rice, served with a fresh, spicy salsa known as Sahawek. 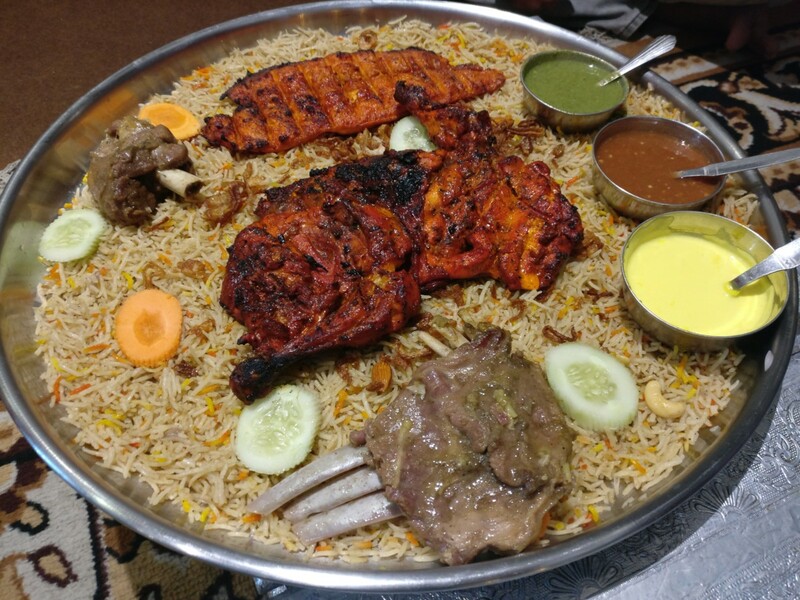 So if you do try it, you can boast over tasting an authentic Arabian dish. Off course, being a food lover myself, I am sure you won’t regret trying. 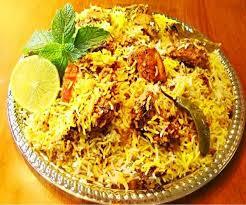 It is generally made from meat and rice with a special mix of Baharat. Most interestingly, it is cooked in a pit dug up in the ground and covered with clay all around its sides. The word Mandi is itself derived from the Arabic word nada, which means dew. Thus, Mandi refers to the dewy texture of the meat. The meat is cooked to a point where its skin is neither too crispy nor too rigid. Normally, people do not use oil while cooking. Generally, spices such as saffron, cardamom, cumin, cloves, cinnamon, etc are used for the preparation. They cook the meat overnight so as to make it soft and tender. One can improvise with addition of Raisins, pine nuts, or peanuts as per his/her taste. The meat could be of various animals and birds ranging from Chicken to Camel. But people mostly use lamb for the preparation. It is cooked in a pit because in the past when people travelled through the Arabian desert – from Yemen to the Persian Gulf and Oman to Jordan and Iraq – winds were so strong that the only way to prepare food amidst that strong wind was to dig a hole in the sand. Traditionally, people eat the food on the floor, in one massive royal plate, using nothing but bare hands, sitting along with their friends and family members. Apart from the Gulf Nations, Mandi is a staple food in countries such as Egypt, Turkey, Levant. In India, it is popular in the Southern peninsula, especially in some areas of Kerala, Telengana and Karnataka, where there is the influence of Hadhrami culture.